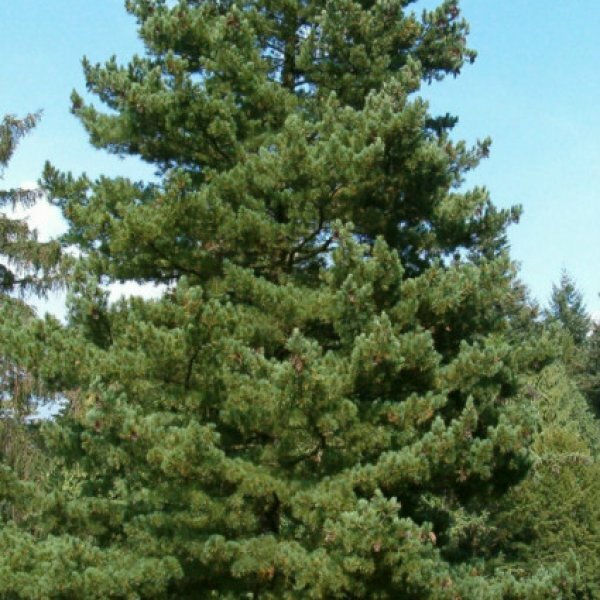 This dense, narrow, medium to tall evergreen tree from the Balkan Peninsula is prized by gardeners for its symmetrical habit and formal bearing. 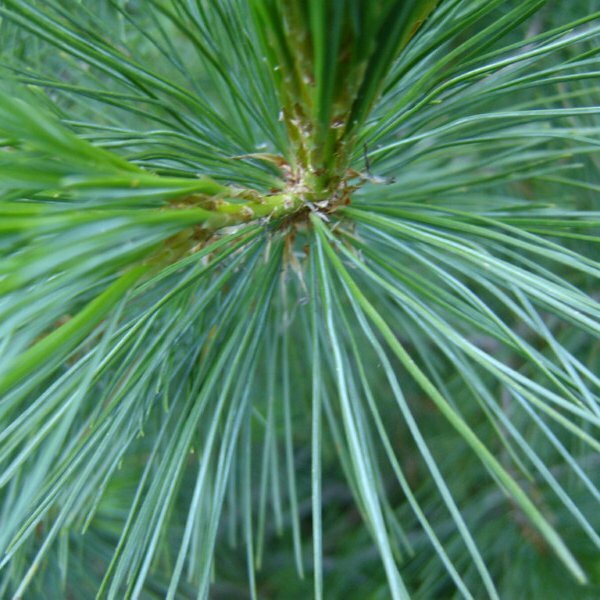 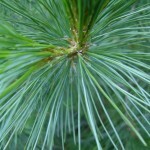 The long, semi-rigid, deep blue-green needles of this pine occur in bundles of five. 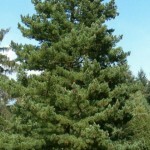 They densely clothe the short, ascending, closely spaced branches. In spring, trees produce tiny male cones and large cylindrical female cones near the branch tips. 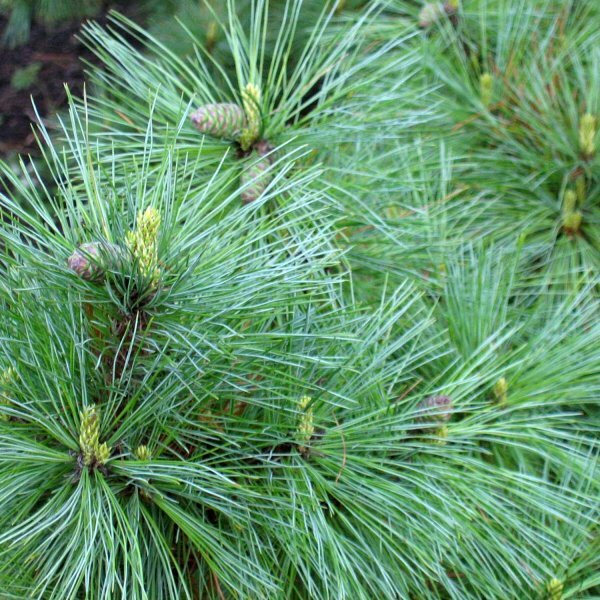 The solitary or clustered, dangling female cones are sheathed with fleshy, resinous green scales that turn woody and buff-brown as they mature. 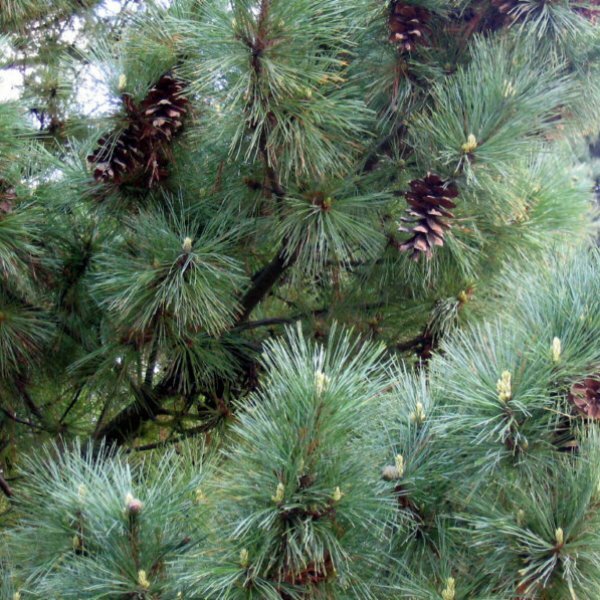 The scales eventually open to release winged seeds. This slow-growing pine has a narrow conical crown that becomes more spreading and open with age. The dark gray bark develops small plates separated by shallow fissures.